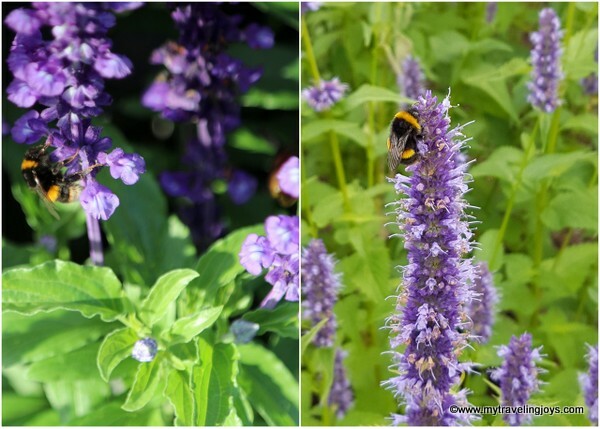 Buzzing honeybees, darling crimson dahlias, pretty purple salvia and so much more! 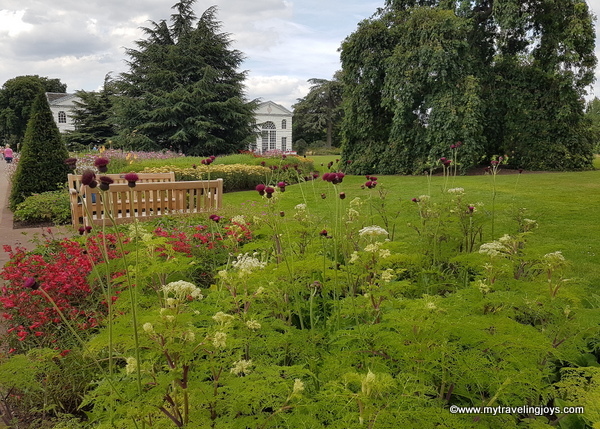 My recent visit to Kew Gardens in southwest London included a 3-hour stroll around this gigantic botanical gardens. During that time, I maybe only covered one-fourth of these 300 acres (121 hectares). The world’s largest collection of living plants are cared for and studied here; because of this and the botanical gardens’ historical significance, the gardens were listed as a UNESCO World Heritage site in 2003. 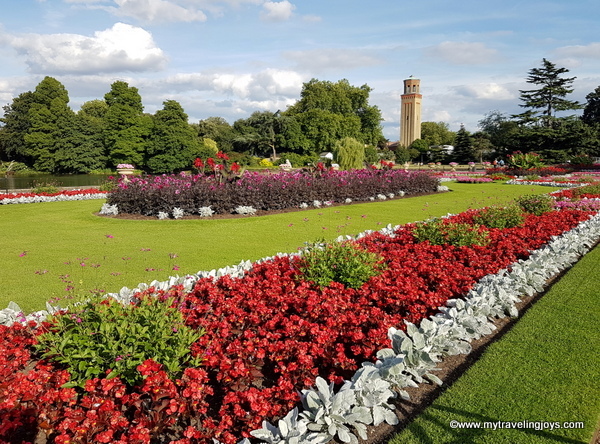 Founded in 1840, from the exotic garden at Kew Park in the Richmond neighborhood of London, the gardens contain more than 30,000 different kinds of plants and the herbarium has more than 7 million preserved plant specimens. Like I said, Kew Gardens is HUGE! 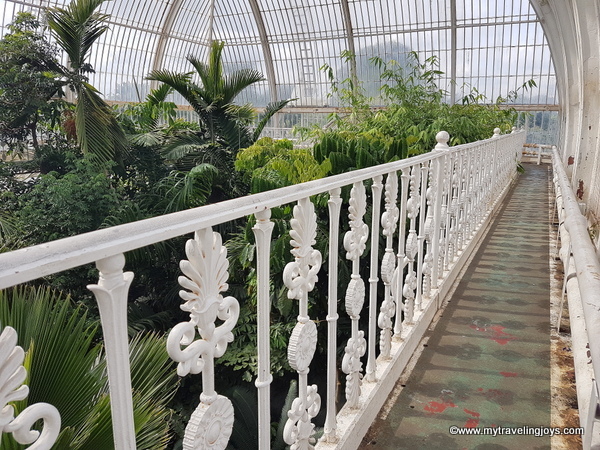 Considered by some to be the most important surviving Victorian iron and glass structure in the world, the Palm House is quite incredible. This glasshouse, built between 1844-1848, was the world’s first large-scale structural use of wrought iron. It houses palms and tropical plants from Africa, Asia, the Americas, Australasia and the Pacific islands. Besides the tropical plants and trees, the Palm House also features a 30-foot-high walkway around the center section of the glasshouse allowing visitors to get a closer look at the tops of trees growing within the greenhouse. In front of the Palm House on the east side are the Queen's Beasts – 10 statues of animals bearing shields, installed here in 1958. 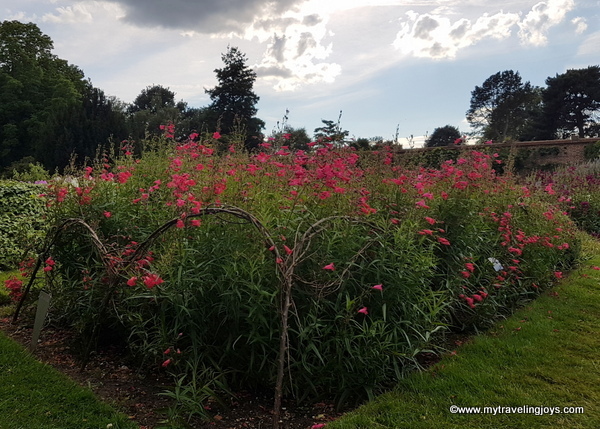 One of the hottest attractions at the Kew this summer is the 17-meter tall structure called The Hive, which tells the story of the honey bee and the importance of pollination. If we don’t have bees, we won’t have any food in the world! 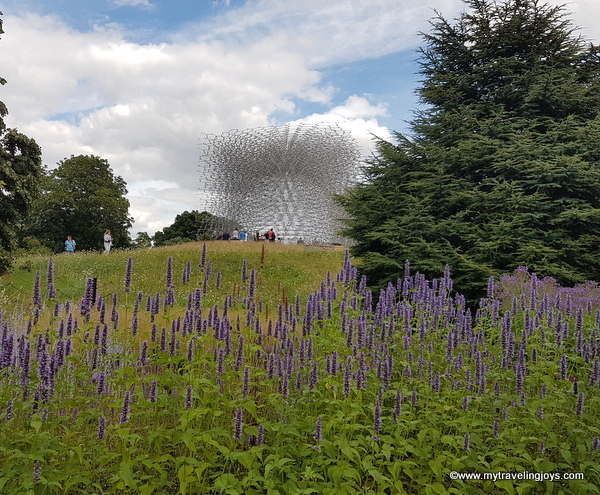 The Hive, designed by UK-based artist Wolfgang Buttress, was originally created as the centerpiece of the UK Pavilion at the 2015 Milan Expo. The Hive is constructed from around 170,000 parts including1,000 LED lights dotted around its center which glow and fade as you stand inside. This honey comb structure is even connected to a real beehive at the Kew Gardens so you can hear the constant humming of bees. 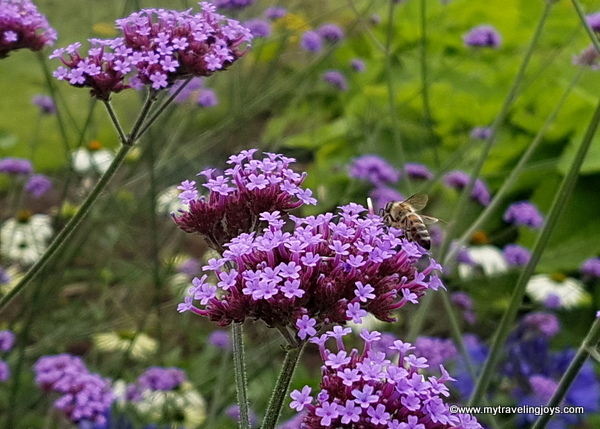 The Hive is a complete sensory and visual experience! I thought there was a separate admission fee to enter Kew Palace, so I did not go inside. However, I did walk around the palace’s enchanting gardens which date back nearly 400 years ago. The first royal residents were King George II, his wife Queen Caroline and their large family. However, Kew Palace will always be associated with the ‘madness’ of King George III during the 18th century. 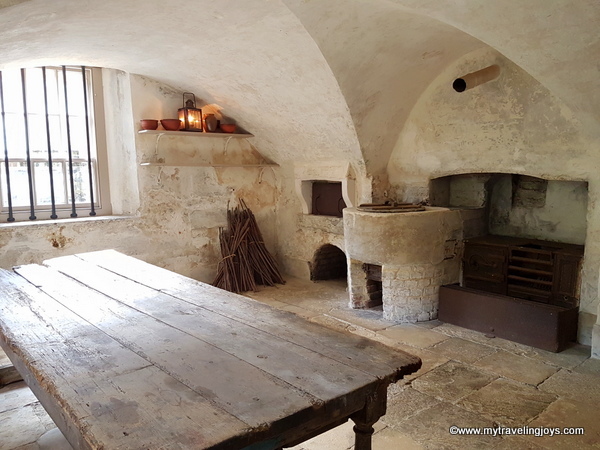 Next door to the palace, you can also see the building that housed the Royal Kitchens, which has been refurbished and open to visitors for the first time in more than 200 years. 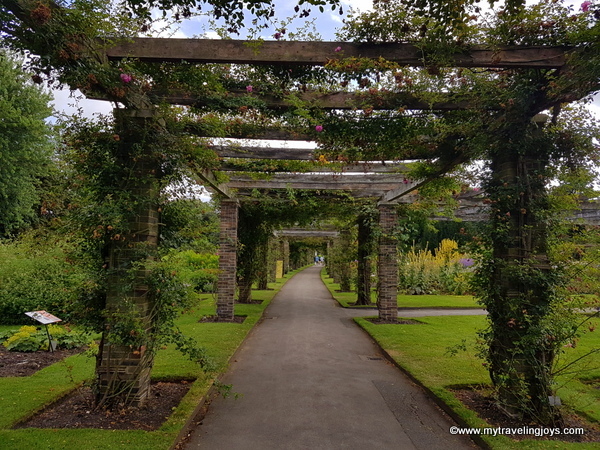 Kew Gardens is made up of so many different landscaped gardens and particular attractions that it’s difficult to see everything at once as I discovered. Luckily, since we’re now living in London, I can return to visit the Kew anytime I want. Next time, I think I’ll plan ahead so I can pack a picnic lunch to enjoy in the beautiful gardens. Looks amazing. We need to go there when we come and visit. What a great serene looking gardens. A great place for a picnic or a wedding. Everything in here looks amazing! I had no idea what The Hive was. It doesn't have a defined form when seen from afar. I understand it from the inside though. 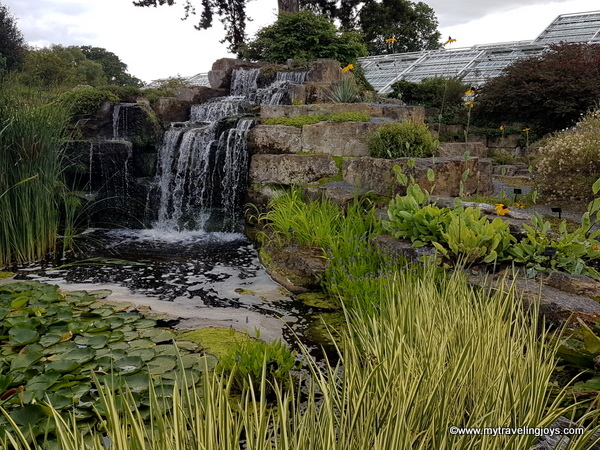 One of my favourite places - I'm coming to London in November, I'd love to go back to Kew again.